Instagram/rowingwodDr. Cameron Nichol, a medical doctor and former Olympic rower. Rowing is enjoying a resurgence in popularity in the fitness world. Business Insider spoke to former Olympic rower Dr. Cameron Nichol. 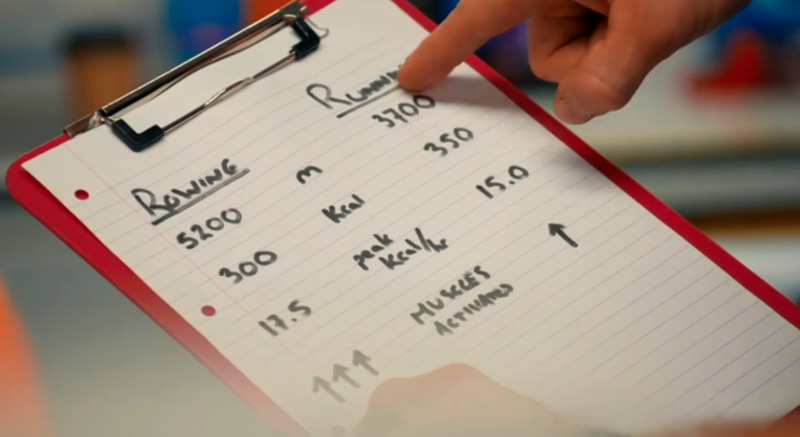 He talked us through an experiment he conducted on a Channel 4 TV show that compared the impact of rowing on a machine vs. running on a treadmill. He believes rowing gives you more ‘bang for your buck’ as it activates more muscle groups. It works both the upper and lower body, the heart, and the lungs. Rowing is having its moment in the fitness world, and the rise of the indoor group rowing class was one of the big fitness trends predicted for 2018. It might not have a glamorous reputation, and it may not look like the easiest exercise to get to grips with. Still, the next time you’re queueing for the treadmill, there could be good reason to consider a stint on the rower instead. That’s according to Dr. Cameron Nichol, a doctor, former Olympic rower, and two-time world silver medalist who says that rowing is the “most time efficient total body workout” out there. Despite this, it’s taken a while for the sport to become part of the latest fitness boom. For many, the rowing machine is a piece of gym equipment that’s been collecting dust in their parent’s garage since the 80s. 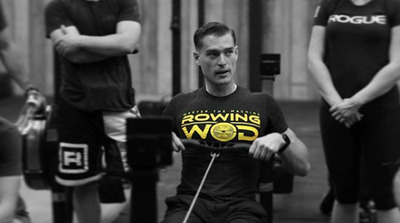 Nichol is on a mission to spread the word on rowing and has even founded Rowing WOD to help do so. As a former Olympic rower and all-round rowing enthusiast, he may be slightly biased, but Nichol said one of the reasons it’s such an effective workout is that it uses virtually every muscle in the body – and he proved this in a recent experiment. On Channel 4’s How to get Fit Fast TV show, Nichol conducted a small experiment at the University of Roehampton that compared the impact of running on a treadmill to rowing on a machine. Athletes of a similar level of fitness performed 20 minutes of each exercise, and a number of output measurements were taken using electrodes. First was calorie expenditure, the way that many people measure their workouts – and in these terms, running won. The subject on the treadmill burnt 350 calories, while the person on the rowing machine expended 300 – but Nichol says you shouldn’t just think about calories. He pointed to another measurement – muscle activation – to prove the effectiveness of the workout. The electrodes showed how much electricity was going through each muscle group during the workout, which means “how hard and how fast those muscles are working,” according to Nichol. The results showed that rowing activated more muscle groups than running. Rowing activates nine muscle groups and 85% of the body’s musculature, according to Nichol. It will work your upper and lower body, tone your arms, and strengthen your back. He concludes that you’ll get more “bang for your buck” working out on the rowing machine than on the treadmill. Plus, he added, there’s the additional bonus that the machine is usually free. ENERGY Whether you're coaching someone, leading a class, working out or meeting someone new, the one over-arching theme I always come back to is to give your ENERGY. Share what you've got, make someone's day better and you'll reap what you sow ten-fold in your life. I firmly believe it. Have a great Friday.